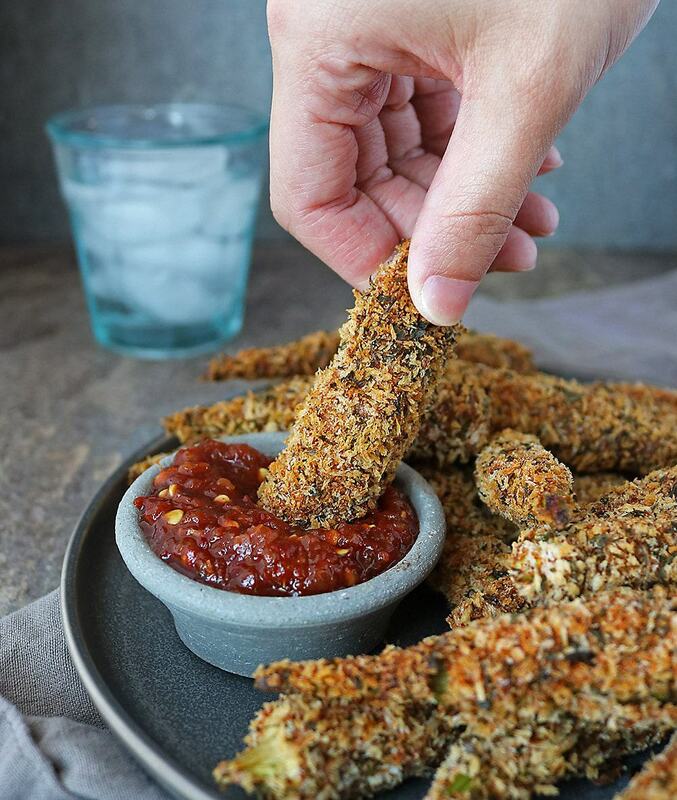 Coated with a deliciously spiced egg wash and flaked panko breading, these Crispy Spicy Air Fryer Okra are delicious to snack on or enjoy as a side at your next family meal. Happy April Fool’s Day, y’all! So, have you been pranked yet? And, seeing we are on the subject of pranks – what’s the best prank you pulled on someone else? Or, someone else pulled on you? Way, way back in the day, when I used to work as a graphic designer, I had a co-worker who LOVED April Fool’s Day. Every April Fool’s Day, he would pick someone to lavish his “attention” on. When it was my turn, I came in to find my mouse not working, only to find someone had tapped over the bottom sensor. That same day, I went to open my overhead storage unit and I was clobbered with Styrofoam packing and little pieces of confetti! Y’all, let me just say that it’s no fun cleaning confetti out of a carpet! Unlike Google’s Gulp or Tree-Grown Spaghetti, today, I am not pranking y’all when I say that these Crispy Spicy Okra were not fried, they were air-fried! 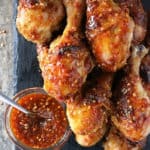 My air-fryer is quickly becoming one of my all time favorite kitchen gizmos! My daughter and I so enjoyed those crispy Sweet Spicy Air Fryer Chicken Tenders it gave us. Then there was that gorgeous Sweet Spicy Air Fryer Salmon, and, more recently, these incredibly Crispy Spicy Air Fryer Okra! I came across 1 ¼ lb packages of fresh okra at Walmart and decided to use it for this recipe. 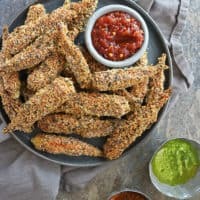 I simply used a coriander, chili, and smoked paprika spiked… err, spiced egg wash and similarly spiced, flaked panko breading before adding these to my air fryer. As I placed the okra in a single layer with plenty of room around so that the circulating air could do its job in crisping up this okra, I did have to cook these in 2 batches. We ended up saving some of these to take over to my sister’s home this past Saturday, so she and my mom ( aka the okra-cooking-queen ) could taste-test these, and they both seemed to love them. My sister reheated these by tossing them in her oven for about 5 minutes. If you happen to have an air-fryer, I so do hope you give these Crispy Spicy Air Fryer Okra a try. And, if you don’t – run out and get one! 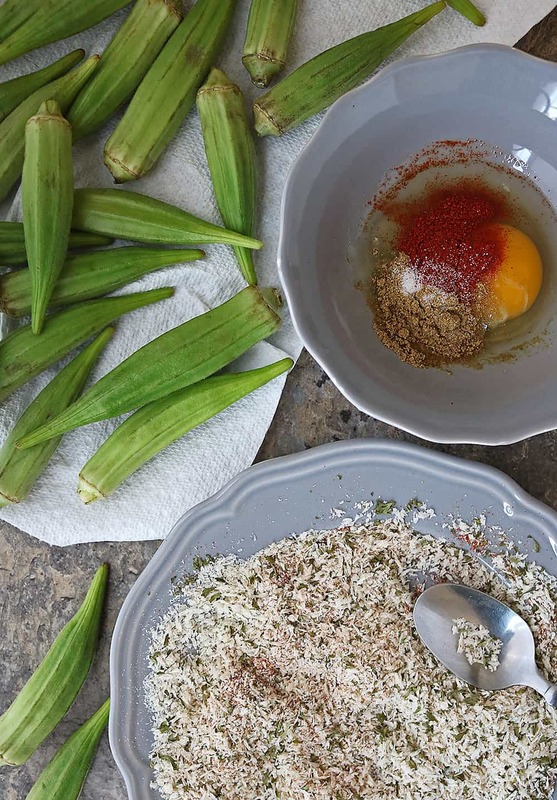 I kid, I kid, seriously, these okra can be baked in your oven as well. 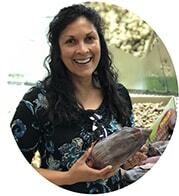 After you have coated fresh okra with the spiced egg wash and spiced flaked panko breading, and sprayed it with cooking-oil, just pop the okra into an oven that has been preheated to 400 degrees F for 15 – 20 minutes until crispy. Rinse okra and dry thoroughly - I used paper towels to do so. Prepare egg wash by mixing egg with coriander, smoked paprika, chili powder (if using) and salt in a bowl. Prepare breading by mixing panko bread flakes with coriander, smoked paprika, chili powder (if using), garlic powder, parslet, salt and pepper. Then, using one hand, dip the dried okra in the spiced egg wash and drop it onto the plate with the breading. Then, using the other hand, coat the okra well with the spiced panko breading. Repeat this with all the okra. 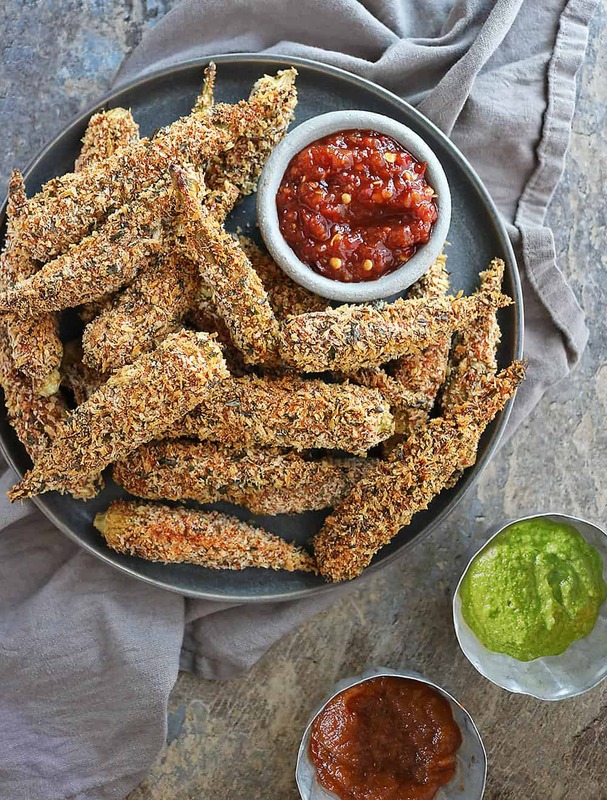 When the okra are all breaded, place them in a single layer at the bottom of your air fryer basket and spray them with your favorite cooking spray. For best results, pre-heat air fryer to 400 degrees for 2-3 minutes. Set the air fryer to air fry the okra at 400 degrees for 4-5 minutes. 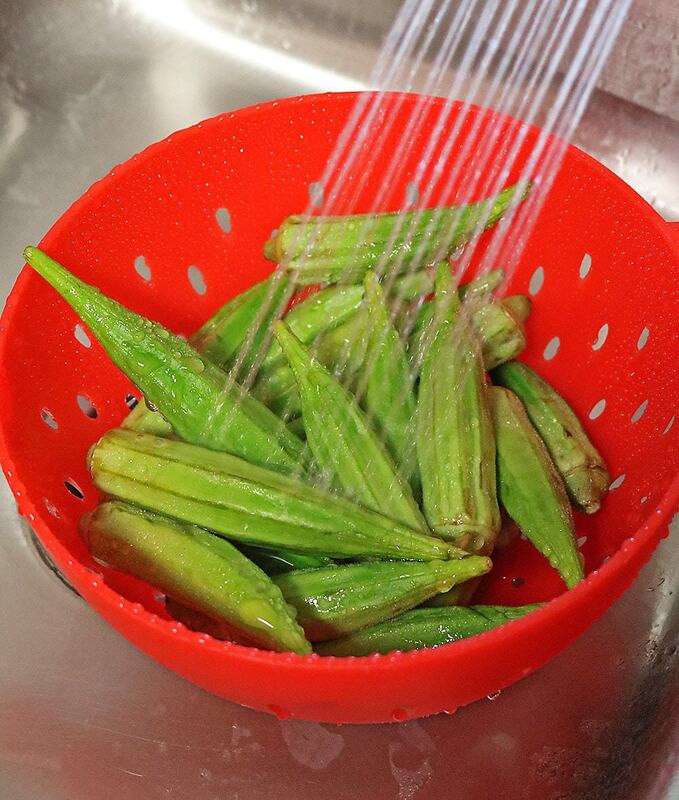 Then open air fryer, and using tongs, flip the okra over and air fry for 4-5 minutes at 400 degrees. Repeat if you have any more breaded okra (depending on the size of your air fryer, this might take 2- 3 batches to cook - but the result is work it. Enjoy with your favorite sauces! I haven’t tried fried okra before, but this looks so good! Can’t wait to make these for my mom!! 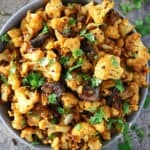 What a unique recipe! My kids would love this as an after school snack! It was a huge hit at my house! And I love how easy it was to make! I don’t remember the last time I had okra. 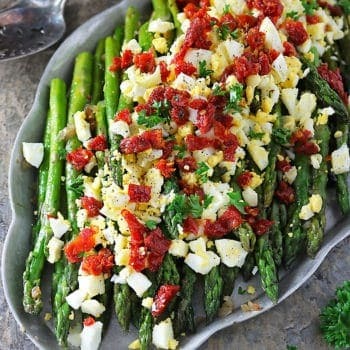 It’s not a veg I can find easily here in Italy, unfortunately! But I do come across it sometimes. 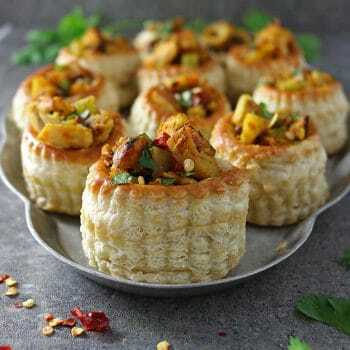 I’ll definitely try this spicy fried okra. It looks yummy! 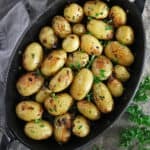 Have to do it in the oven as still haven’t bought an air fryer, although it’s on my wish list! Okra is so good! 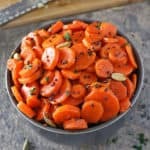 Love the stuff, and this is a MUCH healthier way to prepare it than pan-frying it in oil. Good stuff — thanks.